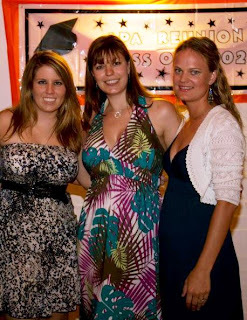 With our ten-year high school reunion on the horizon, I went to Florida the week before so that I'd have time to get some last-minute details accomplished, as well as meet up with my summer camp friends for a three-day weekend. I'm sorry to say that I only took one photo all weekend, and it was of my friend's new baby, so no great images to share. The reunion was not without its problems, but on the whole it was successful. I was pretty stressed out by the end of the weekend, but luckily everyone close to me tried their best to keep me sane. 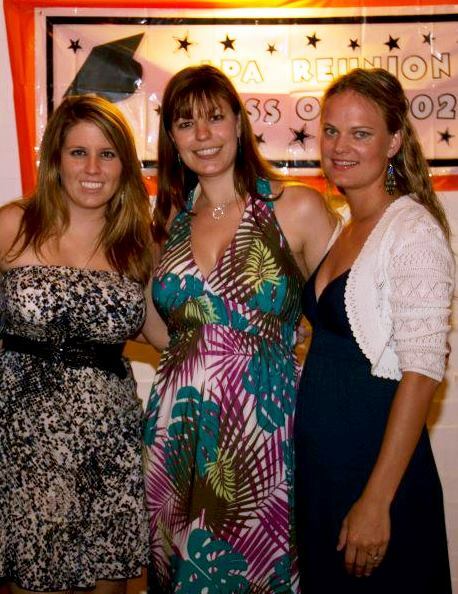 :) That said, here's a picture of me with my two best friends from HS, Tori and Jessica. Also while I was in Florida I was finally able to try one of those places where you learn to paint a picture in just a couple of hours. 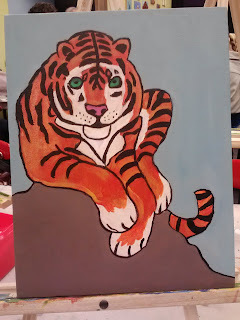 I struggled quite a bit, but here's my tiger and the instructor's... you can guess who did which! When I returned to California I started back on my quest to make more friends here. I went to a lovely lunch that was organized on meetup.com (my second with that group), but the group ended up disbanding shortly thereafter. Some of the girls joined another group, which I went to once, but it just wasn't for me. 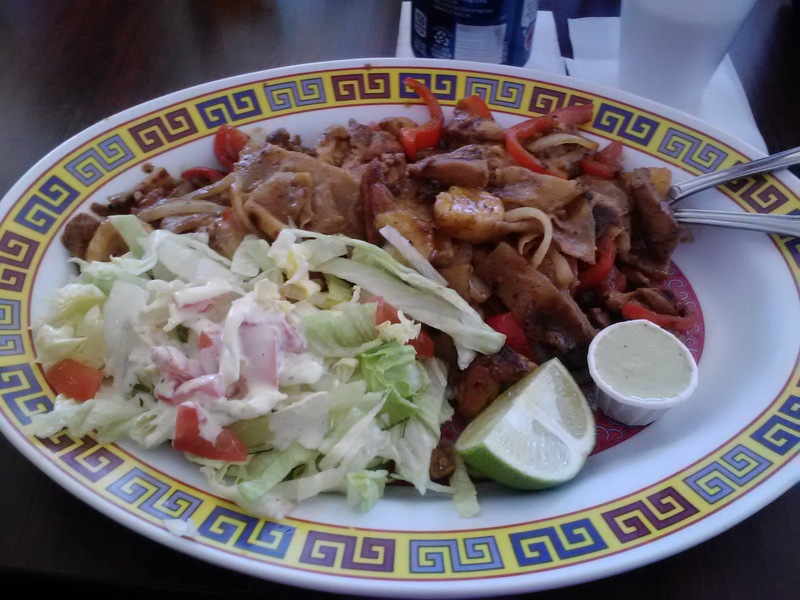 BUT, the important thing was that I had a fabulous lunch at Jubba in San Jose (African food, with an emphasis on Somali cuisine, I believe). I can't wait to eat there again! We also went to the annual Greek Festival in San Jose, which we went to once in the past. It was still amazing and much better than the one in St. Lucie County, but it doesn't compare to the one we went to in New Orleans in 2006! Here's a picture of some items inside the sanctuary of the church. Jonathan never ceases to be lucky when it comes to winning things... I was really excited about buying tickets to see the Olympic Gymnastics Trials here in San Jose, but he ended up winning a pair at work so we were able to sit in a skybox to see the first day of the Men's Events. It was unbelievably exciting! Because we were so far away, it was difficult to get good photos, but, trust me, it was really special to be in the audience to cheer on athletes who would compete for our country just a couple of months later!